Energy | Resource Systems Group, Inc.
We are in the midst of a period of rapid change in the North American and world energy markets as new sources of gas and oil become available, while governments create new mandates and incentives for energy efficiency and low carbon emitting sources. Governments, businesses, organizations, and individuals must make informed decisions about energy use, costs, benefits, and impacts. Since 1986, RSG has provided public utilities, environmental groups, independent power producers, and governments with detailed analyses of their energy issues, challenges, and opportunities. We understand the complexities of energy industries and apply our industry knowledge and advanced analytical techniques to help clients understand and adapt to the changing energy landscape. We also help clients with opportunties presented by electric vehicles in the context of our automotive and transportation work. 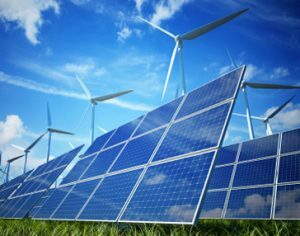 We assist developers of new energy sources such as wind, solar and biomass with analysis and permitting services needed to plan, construct and operate those sources and to evaluate environmnetal benefits of reduced air and water emissions.